Preheat oven to gas mark 4/177°C/ 350°F. In a medium sized bowl, mix together the paprika, Chipotle Chilli Sauce, garlic, sugar and salt. Smear the ribs with the mixture and marinate for eight hours or overnight. Place the ribs in an ovenproof dish, cover with foil, and cook for three hours or until the meat is tender. Remove the foil, whack the heat up to gas mark 7/ 220°C/ 425°F and cook for a further 20 to 30 minutes. Once cooked, sprinkle with coriander (optional). 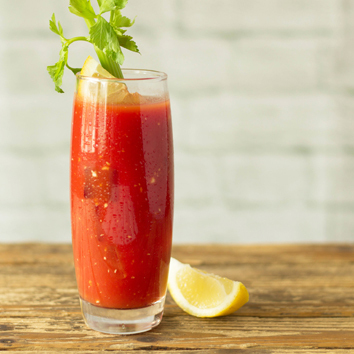 Scorpion Bloody Mary A Bloody Mary for the ultimate hangover drink and the best brunch accompaniment. Fireside Glazed Ham Succulent ham glazed with a sweet, earthy, chilli kick. Great eaten hot or cold.